This is an Ingraham Walnut Mantle clock in great running condition. 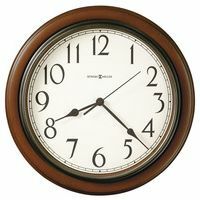 It is one of the Cabinet series of Ingraham clocks which is one of Ingrahams better clock series. One very unusual feature is that this clock has an alarm, not many of these came with an alarm. 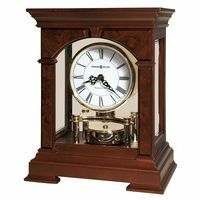 Like all of the cabinet clocks it has a Cathederal gong, which has a very impressive sound. 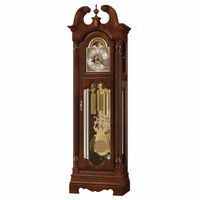 The clock is really in excellent condition and does have the original fancy pendulum.The wood work is really exceptional and in terrific shape. The case is 21 inches tall 16 inches wide and 5.5 inches deep.